Yes, please bring your own golf clubs to our facility. We do not rent out clubs. We have 1 spare set of right handed and left handed clubs. Do I use my own golf balls? Yes, please bring your own golf balls to our facility. Can I wear golf shoes in the facility? Please do not wear golf shoes in our facility. Gym shoes are preferred because golf shoes have been known to tear up our carpet and golf mats. How long does it take to play 18 holes on your simulators? It takes approximately an hour per person to finish 18 holes. If you have more than one player it is recommended that you book an additional hour for each player in your group. 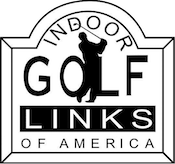 How do you charge to play a round of golf at I.G.L.A.? We charge per hour, per simulator. We do not charge on a per person basis. Rates are based on the number of hours that your reserve the booth for. Do I pay for the amount of time I reserved or only the time that I used? You are responsible for the amount of time you reserved. Tee times are in big demand and in order to discourage people from booking longer reservations than required, players will be charged for the time that was reserved, regardless of the actual time used. In order to not be charged you must call at least 24 hours in advance to change or cancel your reservation. How far in advance should I book a tee time? The sooner the better, but we do recommend booking a tee time 1-2 days in advance. How much notice do I need to provide in order to cancel a tee time? Please provide us with at least 24 hours notice when cancelling a tee time.